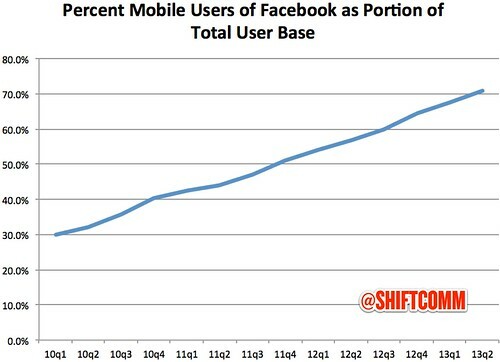 In just three years, the number of people accessing Facebook on a mobile device at least once a month has more than doubled. 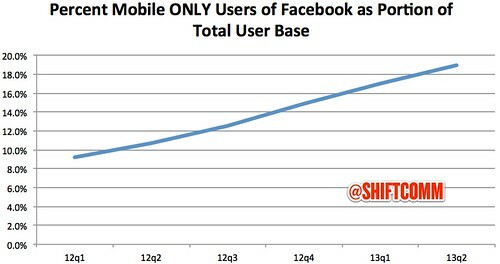 Today, 70% – 7 out of 10 Facebook users access the service via a mobile device at least some of the time. Facebook is growing its audience about 4% quarter over quarter. 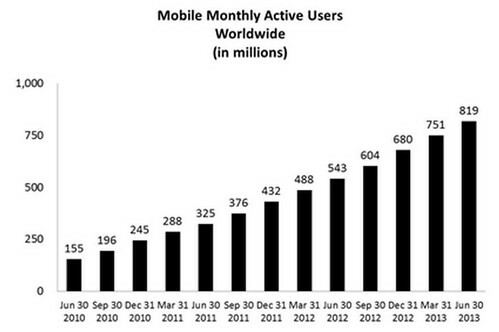 Its mobile audience is growing at double that pace as a percentage of total users, about 9% quarter over quarter. 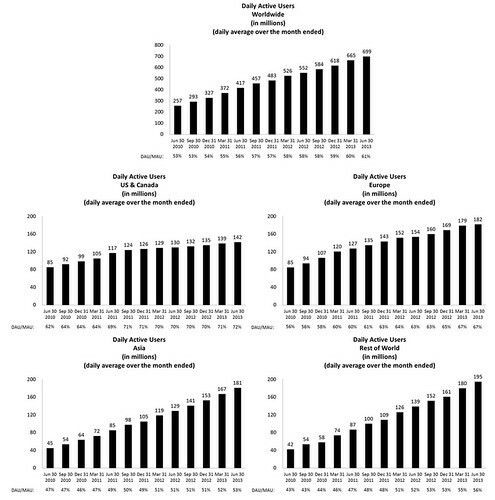 Its mobile-only audience is growing about 16% quarter over quarter. 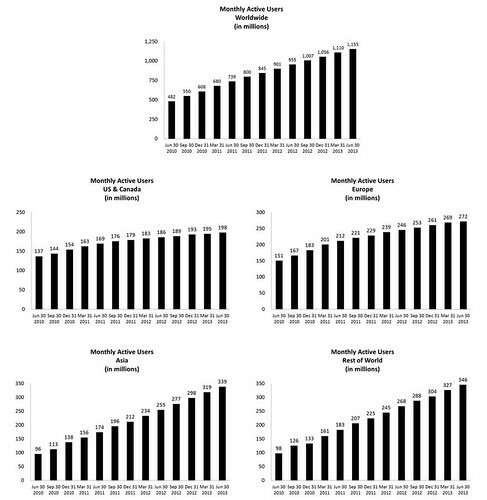 Something of note: look how fast the adoption rates are slowing for the mobile segments. 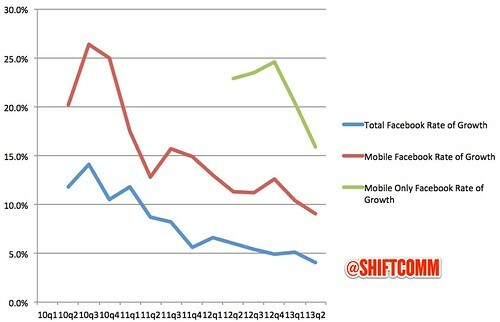 It appears that Facebook may be achieving saturation in the mobile markets. Time will tell if that’s true but it feels about right – when 70% of your audience is using a mobile device at least some of the time, there isn’t room for continuing increases in growth. Here’s the bottom line: if you’re in public relations or marketing, not only is Facebook a mandatory part of your strategy, but Facebook’s mobile services must be part of that strategy if you want to remain relevant to the Facebook audience as it grows. You should be experimenting with every mobile format Facebook gives you to see what works, since saturation is nearing.